Getting access to a platform that offers a real-time access to crypto price backed by historical data, index and graphs can certainly boom your investment endeavours. Let’s talk about some of the famous crypto tracking platforms. 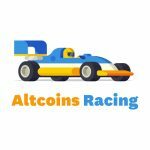 With Altcoins Racing, you can easily follow the price of an array of cryptos around the world. 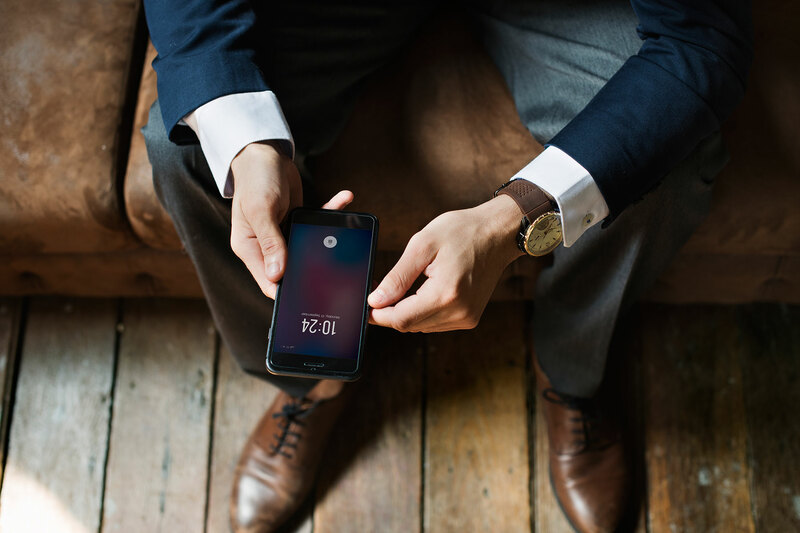 Set-up alarms and get notified when the price of a crypto crosses a certain threshold. Altcoins Racing is one of the leading price monitor tools, apart from them as a potential crypto investor, you can even monitor top gainers as well as losers on hourly, daily as well as weekly basis. As a matter of fact, cryptos these days are pretty volatile, therefore, it’d be pretty intuitive to see how price changes as we speak. As soon as you stroll over to the main website, you will see that there are ‘N’ numbers of altcoins listen on the website. Apart from that, every altcoin is listed with its symbol, price in BTC, last 24 hour traded volume as well as the per cent change. What comes as a fascinating fact is that the top performers are listed on the left half of the page while the losing altcoins are projected on the right. You can further sort them as per single day, week and even monthly basis. A user can even convert the altcoin price in dollars by clicking on the BTC button. Thus, the platform is pretty easy to use and very informative to make a potential investment in the world of cryptocurrencies. In a nutshell, CoinMarketCap is an online platform that is responsible for providing visitors with information based on market capitalization of cryptocurrencies. You might be wondering how the market cap is calculated? Well, it’s simple, it’s determined by multiplying price with the number of altcoins in circulation. Since CoinMarketCap’s inception, the site has listed over thousands of altcoins. Today CoinMarketCap is one of the most popular and leading websites in terms of crypto space. It is the sole responsibility of visitors and investors to get associated with any program on this website. The site takes no responsibility as such. Let’s talk about the portal, you can see headings like Coin name, market cap, circulating supply, 24hr change and price as soon as you visit the home page. Further, one can even analyse a coin better after going through the 7-day graph which is mentioned on the right side of the screen. Thus, the percentage change of each and every coin is determined. You can even know about the top 100 crypto exchanges by volume on the internet by just clicking on the exchanges heading on the dashboard. Coincap is one of the most dedicated web portals available in today’s time that can be used to anticipate and keep a reality check on an array of cryptocurrency. Apart from that, Coincap is mainly used for tasks such as crypto trading. As an investor, you can leverage Coincap to make a crypto purchase and selling at a later stage. In less than an hour, you can know about some of the most performing cryptos and start investing in them. Till date, the site has listed over 500 cryptocurrencies that are available for a pick with desired information. The moment you visit Coincap, you can observe that there are cryptos listed on the basis of their market cap. Some of the sub-headings are price, market cap, VWAP, Supply of coin, 24hr volume, 24hr change and more. On the Coincap’s dashboard, you can see the combined market cap, total exchange volume, number of assets as well as BTC DOM index. As you scroll down on the portal, you can see graphs depicting the crypto trade by the quantity and by value. Some of the most famous investors in Coincap are FundersClub, Blockchain Capital, Early Bird, Pantera and more. What comes as an important fact is that Cryptowatch is a type of platform that has been built to perform and not to just appear good. In other words, as soon as you visit Cryptowatch.ch, you would observe that there are next to no graphics available on the website. You can only see charts and numbers. In spite of all the not so user-friendly appeal of the website, Cryptowatch.ch is one of the top performings buy and trade digital assets website. One should know that Kraken owns this portal and thus, there is an extensive trading as well as comprehensive charting information available on Cryptowatch.ch. Reportedly, Cryptowatch.ch handles data and graphs derived from over 22 other crypto exchanges. Apart from that, accuracy is what this portal is known for. You can make trades in the blink of an eye and can see instant results. Moving forward to the some of the top performing crypto platforms that Cryptowatch.ch makes use of are Bitfinex, BTC-E, Coinbase, Poloniex, Huobi and more. In short, this portal assures you that you’ll be always having the latest pricing as well as volume updates for almost any crypto you wish to operate on. Also, it’s worth noting that Cryptowatch.ch has deployed military-grade AES-256 security encryption for the purpose of string the trading as well as the user data. BitcoinWisdom is one of the most trusted and heavenly used website when we talk about getting access to complimentary crypto related data. BitcoinWisdom is in the market for many years now and almost every major crypto trader have at least visited this portal once. Currently, BitcoinWisdom is deriving its crypto monitoring data from the likes of GDAX, Exmo, Bithumb, Binance, Bitfines and WEX. Also, there is an abundance of data available on BitcoinWisdom from European crypto trading platforms such as Kraken and Bitstamp. Bitcoin charts these days have become more vital than ever and this platform caters to the investor demand in the most concise manner. One can unlock their access to the series of lines, numbers, charts and candlesticks diagram as soon as they visit BitcoinWisdom. The portal provides a ton of analytical information that is required to be understood to operate on. You can always use the abundance of data as per your advantage. The general layout of the website consists of an actual chart on the left side of the screen, where the Bitcoin’s history is plotted. If you’re looking for the order book, just simply look at your right. Understanding the graphs is vital otherwise you might find the portal pretty confusing. If the candlestick graph is green, it implies that the price of the crypto token rose during the trading period and vice-versa. The rise of Ethereum and other associated cryptocurrencies is on the brink. Crypto experts around the world are talking about an event referred as “the flippening”. Well, in simpler terms this event means that Ethereum will be taking on & surpassing Bitcoin when we talk about popularity and market capital. Flippening Watch is the portal which is meant for the purpose of monitoring the same. The portal believes that things are turning in the favour of Flippening Watch and Ethereum might overtake Bitcoin in near future and become the world’s most valuable digital token asset. Talking more about the platform, BitcoinWisdom encompasses a pretty engaging user-interface with all the exuberant features. As soon as you land on the home page, the first thing you’ll observe is the real-time crypto chart. Here, you can know about crypto tokens through metrics such as market cap, transactions, trading volume, mining reward, google trends, nodes and much more. Interestingly, on the right side of the screen, there is a happening percentage for a number of cryptocurrencies against the Ethereum. As we speak, the flippening percentage between Ethereum and Bitcoin rests at 18.6%.